Having project and program managers within any organization, corporation, non-profit or public sector utility is by no means a new concept. They have been a staple fixture within the world for decades. But how exactly are those project and program manager’s organized with the structure? What ideas and suggestions exist for how any entity, corporate or otherwise, should leverage its existing project and program managers against their own specific product and portfolio offerings. There are several schools of thought pertaining to how any agency is going to organize its internal structure. To understand this better, we will take a moment to review some of the more common organizational structures that exist today. Functional – A very common organizational structure where team members will work in a specific department or group, such as engineering, finance, marketing, etc. But they may also be loaned out from time to time depending on project. In this structure, project managers have very little influence or power and general merely serve to monitor the performance of the project and provide status updates. Projectized – This type of structure is organized according to projects instead of functional departments. Generally speaking, the project/program manager is both the manager of the project and of the people. This is a highly empowered role for project/program managers and affords them the highest level of control. Matrix – This is a hybrid organizational structure where individuals have both a functional manager and a clear chain of command while also simultaneously having a project/program manager for projects. This categorization is broken down further into the concepts of a ‘strong matrix’, where the project manager has more influence, a ‘weak matrix’, where the project manager has less influence and a ‘balanced matrix’, where power is shared relatively evenly between functional managers and project/program managers. So which structure should one use? There is much debate as to which is the ‘best’ structure amongst the choices. And in the end, it honestly comes down to ‘it depends’. Various organizations sometimes prefer a more regimental structure of functional managers. In cases where little cross collaboration exists between teams, this may be a fine choice. Although it will often lead to silos being formed between teams and can also cause inefficiencies if teams are doing similar types of work, thus duplicating effort un-necessarily. Other organizations prefer a much more projectized environment. You will most often see this structure in consulting and contracting agencies, that loan out talent. Because individuals often work across various project types, the lack of a functional manager is not a problem. Project/program manages will then be tasked with ensuring that resources are being effectively utilized. And finally, a balanced matrix will often be the choice for organizations that still want some level of breakdown by roles, but also want to ensure that silos don’t form and the organization is running in the most efficient manner possible. As such, they will opt for the hybrid arrangement. Regardless of style, the question is often invariably asked: how should the project and program managers be aligned within the organization? The answer almost always yields the same result: by being part of a Project Management Office (PMO). A Project Management Office (PMO) is a group or department within a business, agency or enterprise that defines and maintains standards for project(program) management within the organization. The primary goal of a PMO is to achieve benefits from standardizing and following project management policies, processes, and methods. Over time, a PMO generally will become the source for guidance, documentation, and metrics related to the practices involved in managing and implementing projects within the organization. 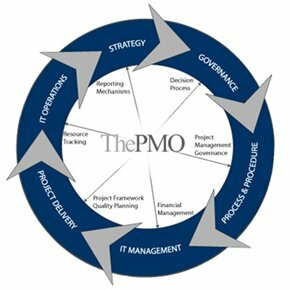 In essence, the PMO is an entity that works to govern the standards across the primary lines of business. Often, product life-cycle documentation, process and workflow standards and general best practices will be part of the PMO’s sphere of influence. The beauty of a PMO is that it can be instituted in any scenario, regardless of overall structure. i.e., a PMO can exist in a functional, projectized or matrix environment. What you will often see in the more projectized structures is that the project and program managers themselves are within a reporting structure that includes the PMO. This further ensures that process normalization and common adherence to best practices is maintained. 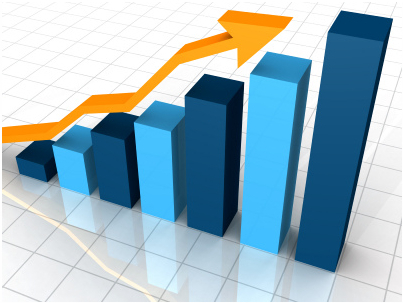 Now many may ask: is there truly a benefit and long-term success rate with instituting a PMO? And the answer is a resounding ‘yes’. Just to reiterate that last point, over 2/3rds of project failures can be directly attributed to a lack or improper implementation of project management methodologies. This is a HUGE number when considered in context. The sheer number of lost man hours and wasted money is massive when taken over a broad spectrum. And it is this fact that really drives the point home for giving credence to the need for a PMO. The main idea behind the PMO is making things more collaborative and standardized across any organization. The more standardized one is, the less likelihood that things occur differently, such as disparate metrics types or inconsistent process. A great analogy for this is to simply think about a company that was non-standard in things we take for granted nowadays. Such as the same calendar style (Gregorian) or usage of the same power utility type in the same region. All these became standard for a reason; greater consistency and less likelihood of problems arising due to mixups. The same can be said for project management. The more you have people on the same page, the better for everyone and the better to monitor consistently across the board. All areas are crucial to the success of the project and each need to be handled with due diligence. But to ensure the eventual success of the project, it is necessary to have systems in place to determine if everything is moving along smoothly. And this is where defining, setting up and continuously monitoring metrics and specific reports inherent to the project become paramount. The nature and type of reports (and metrics) being presented can vary depending on the type of project and the actual technical attributes of the project’s primary deliverable. Manufacturing plants may rely on one of set of metrics while software releases may rely on another. Knowing which metrics types to leverage is an important consideration for the project manager. Not being cognizant of certain key pieces of data or metrics can lead to things being missed or problems being overlooked. That is why the project manager must be vigilant in this regard. With that being said, what are some of the key metrics types that a project manager may wish to leverage for his/her project? From the standpoint of metrics, this is usually the project schedule itself. All projects should have some sort of timeline, complete with key milestones and target dates. By having this schedule drafted up front, the project manager will be able to determine how things are proceeding with the project. Extrapolation can be used in conjunction with other key metrics to determine if project schedule slippage is a concern or not. When referring to project costs, this is basically the project’s primary budget. Most projects will have a budget of some sort with payouts performed either up front or on a schedule basis. (Example: a quarterly budget) From the standpoint of how to manage the budget, having an idea of the general cash flow of the project is the best mechanism for ensuring that the project budget is being maintained. So if the project manager has a metric of some sort that is monitoring cash flow of the project on a monthly basis, he/she will be able to adequately estimate if there are any potential cost over-runs that could occur. Every project will have a set number of resources allocated to it. This is the human capital portion of the project. These resources are usually broken down by skill set and assigned to specific portions of the project. The amount of man hours or ‘level of effort’ that each resource contributes needs to be monitored on an individual basis. This will allow the project manager to determine if any resources are not keeping up with their workload or are becoming overwhelmed. There is sometimes a natural tendency for managers to allocate work to their most skilled resource. But one must be mindful of the workload that resource has on their plate already. From the standpoint of scope, this refers to the primary enhancements or features inherent to the project deliverable. The scope should be defined up front, in the initial planning stages. Scope can change during the project release cycle, but caution must be taken as this will affect the overall project as a whole. (For further information, please read the post: Scope, Time and Cost – Managing the Triple Constraint) In order to ensure that overall scope is being handled, the completion rate of features needs to be monitored. This can be achieved by either monitoring the features themselves individually, or by using trend analysis to determine completion rates. (i.e. open/close rates or burndown charts) This trend analysis will give progress on scope but also allow for extrapolation to determine if target milestones can be met based on the outstanding scope remaining on the project. As the project matures and the deliverable is being produced, ensuring the quality of the deliverable becomes a very important attribute of the project. As such, the metrics in relation to that quality also need to be monitored on a regular basis. Generally speaking, issues (bugs) with a particular deliverable are being discovered and cataloged during the product’s life cycle. The project manager should be monitoring these issues as they are discovered and resolved. Normally, a trend chart can produce a curve of issue discovery and resolution, usually by monitoring open/close rates of those issues. The curve should swing upwards at the initial stages of the project, normalize (flatten) and then begin to decline. This trend can be extrapolated against to ensure that the quality level of the product deliverable will be at acceptable standards at release time. Note that different release cycles (alpha, beta releases) will also cause spikes to the curve. Factoring in those release cycles into the overall project life-cycle is also imperative. Note that depending on the process being utilized, quality may have a very high set of standards, such as a Six Sigma level. The project manager will also need to be cognizant of the organization’s quality standards and processes to ensure that the project conforms to expectations. Finally, if the project manager is keeping regular status meetings and maintaining engagement with the team, there will be action items that need to be cataloged and revisited on a regular basis. Every action item needs to be addressed as it manifests and no action items should ever be left unattended. The project manager should keep a running tally of what action items are outstanding, who is working on them and what the estimates are for their resolution.